Summer vacation is over. The kids are back at day care and pre school. The daily routines are kicking in. But there is still a few weeks of summer left. Finally the dark nights is coming. Sounds stupid but it feels exotic when you´re used to the bright summer nights. I have been quite lazy the last few weeks. Spent all my spare time in the workshop working on the fat bike. But yesterday i finally had some quality time with my Spesh. 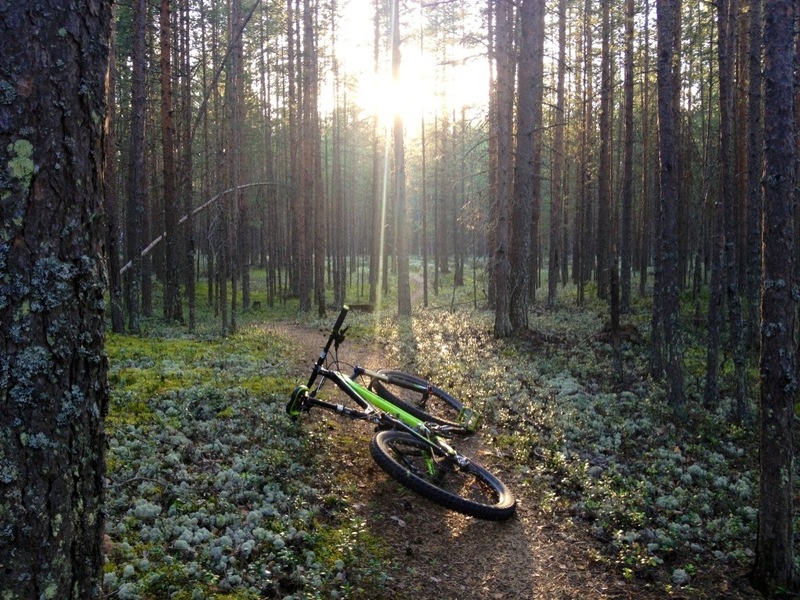 Me and Lars went for some trail riding on Kallaxheden. Kallaxheden is old seafloor. 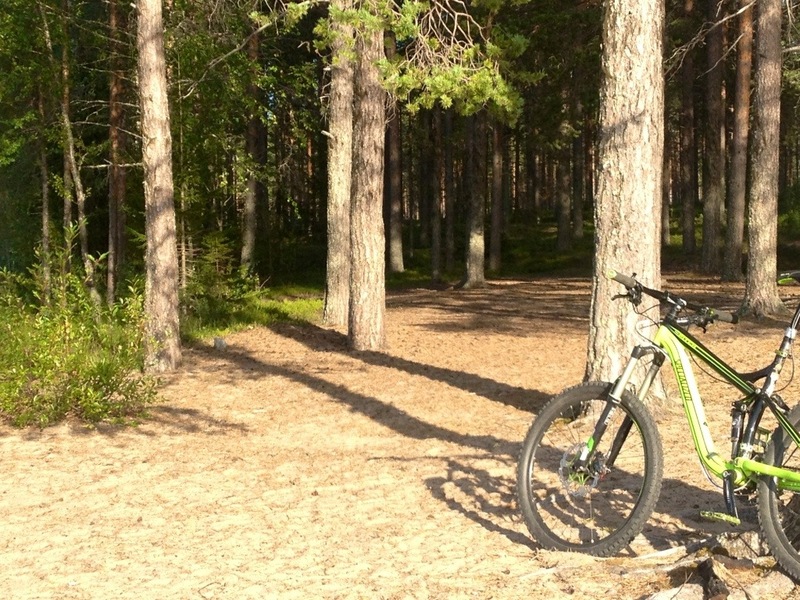 Miles and miles of hard rolllig sand trails and pine trees. The trails are mostly hard but in some placed soft as a beach. We had an amazing ride. We went to one of the small lakes. 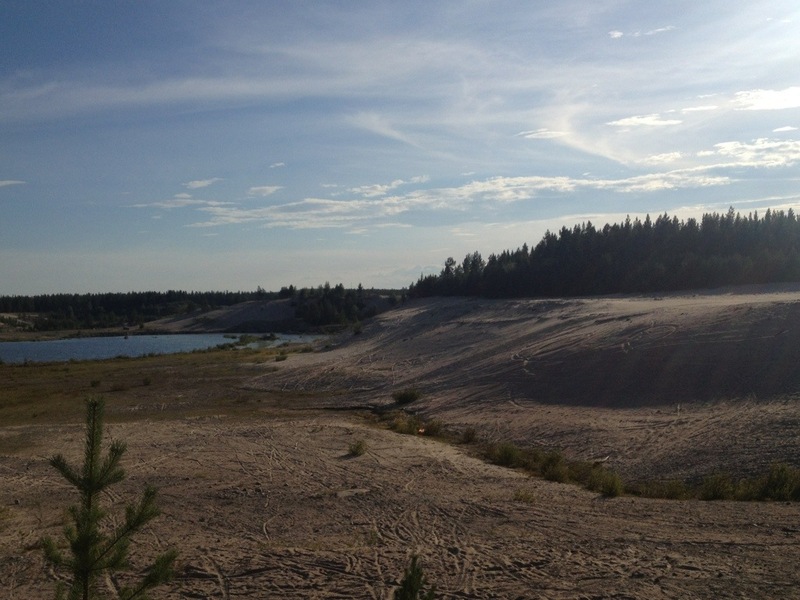 Kvarnträsket is a small pond with sand shores in the middle of the big pine forest. 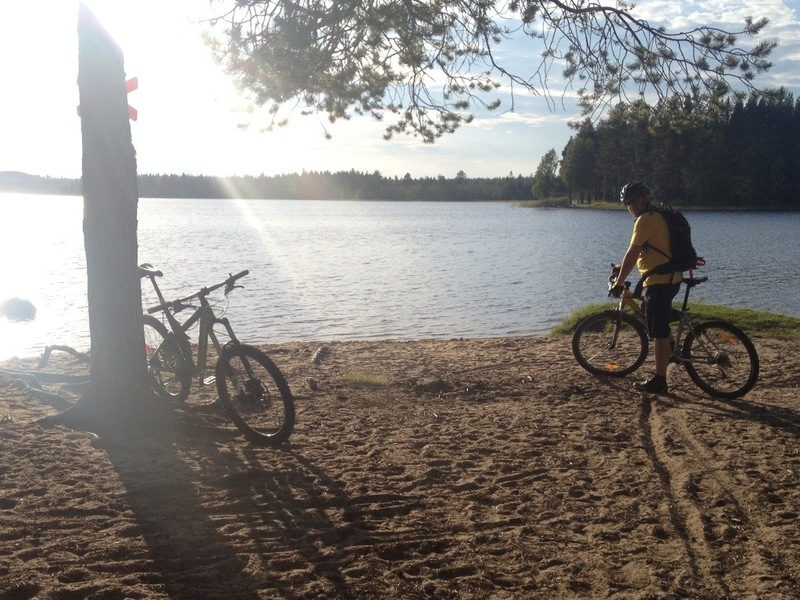 It’s stunning to arrive here after 10 km trail riding. This is from the other direction.